Certified Burglar & Fire Alarm Systems is a recognized leader in the field of Security for both residential and commercial markets. With increasing crime rates, a security system continuously monitored by Certified Alarm’s “on-site” central station will provide confidence and reassurance in today’s threatening society. Our highly trained installers can wire your home or business without disturbing the aesthetics of your environment. Certified Alarm offers a wide range of state-of-the-art technologies from basic systems with door sensors and motion detectors to more advanced systems capable of up to 250 zone specific devices. In addition to our intrusion detection systems, we also offer low temperature and high water detection equipment. Both our basic and advanced systems offer ease of operation, convenience and reliability. A system from Certified Alarm will provide you with the peace of mind that your home and/or business is secure. We offer 24 Hour Tech Support. If you ever have any problems with your system at any time of the day, we will have a technician to walk you through a solution to the issue, or come to your location. If you are interested in a free consultation and free estimate, please call us for more information. 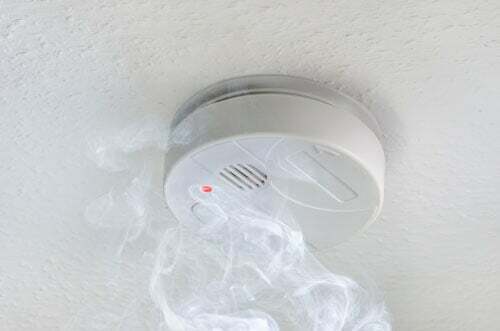 Certified Alarm will design and implement a fire alarm system based upon your life safety, asset protection, and local AHJ requirements. We offer high quality commercial grade equipment by Honeywell®. A system by Certified Alarm can be monitored by our “on-site” central station with 24-hour supervision. Our fire alarm systems are capable of providing zone specific “Point ID” device locations. The fire alarm control panel is also capable of managing up to 250 zones. It can be fully integrated with your burglar alarm providing the ease and convenience of controlling both fire and security from the same keypad. If you are interested in a free consultation and estimate, please visit our Free Estimate page. Certified Burglar & Fire Alarm Systems will design and implement a video surveillance system based upon your life safety or asset protection requirements. Our systems range from entry level analog systems to High Definition (HD) analog and digital Internet Protocol (IP) camera systems. We utilize equipment from trusted manufacturers: Honeywell®, EverFocus®, Pelco®, and Axis Communications®. Analog Systems are available in 4, 9, 16, and 32 channel configurations. Internet Protocol (IP) camera systems are only limited by network bandwidth and storage capacity. Network Video Recorders can be customized to meet your video storage requirements. Our video recording systems utilize H.264 video compression for more efficient disk storage and network bandwidth conservation. Video can be recorded at real time, time lapse, or through motion detection with simultaneous recording, playback, archiving, and remote viewing. The video is recorded to a hard drive; when the hard drive reaches full capacity, the software will automatically overwrite beginning with the oldest date and time. Recorded video clips can be archived to DVD, USB flash drives, or downloaded to a remote location. Remote administration and viewing may be accomplished via most Internet web browsers and smart phones (iPhone®, Android™, or Blackberry®). Certified Alarm offers access control systems ranging from single door stand alone controllers to 32 door controls capable of managing up to 5000 users. Numeric keypad and proximity readers are the most popular and cost effective input devices, but other input devices are available upon request including biometric readers. Door hardware solutions include electric strike and magnetic locks. Please contact us to schedule an appointment and a sales representative can address your security concerns and tailor an access control system to meet your needs.